As unlikely as it is, sometimes it does rain in Summer. And more often than not, it catches everybody unprepared. The temperatures drop and tank tops don’t cut it. Not to mention that there isn’t light raining either, during this period. Well, what do you do? All the jackets are stashed away and you’d be lucky to find where you last put the umbrella, two months ago. The thought of wearing a jacket in Summer sounds ridiculous, and you are not wrong. Those into hiking, camping and who love to be outdoors for longer than the occasional jog, are the ones who need to be prepared for all scenarios. And yet, packing a jacket is not the first thing on the mind. Luckily, we have once again gone on the lookout and yes, we did indeed find a brilliant jacket for rainy weather. And what’s best about it? You can wear it throughout the year. 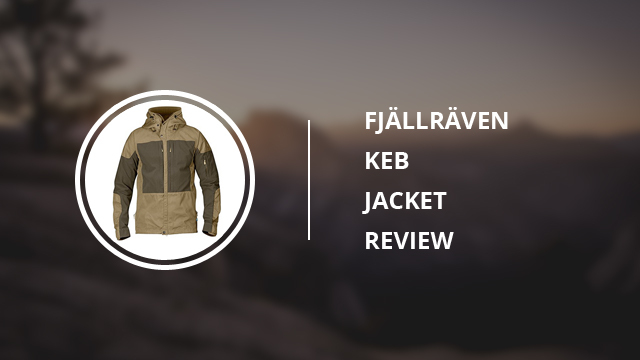 This jacket is Keb, by Fjällräven, the Swedish brand whose products seem almost infallible. Time to take a good look at this jacket and you will see for yourself why we were so impressed by it. 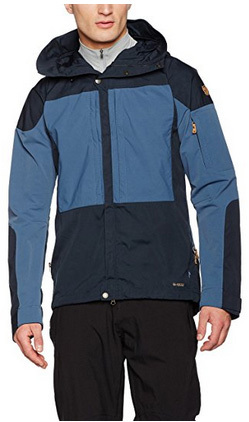 Keb is designed with trekkers in mind, who spend their free time taking long hikes on mountains. 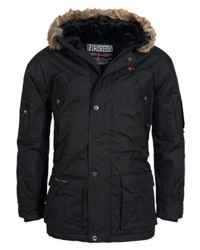 However, as with most jackets, it is suitable for versatile wear, in a variety of outdoor activities. 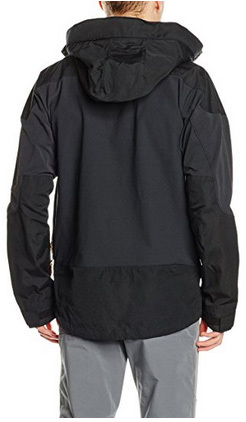 And if you were to look through the online reviews, which is what we will be doing a bit later, you would see that some have worn it as a running jacket and biking jacket. How so? It all comes down to fabric choice. It is a material combination that allows for Breathability, to an incredible extent. This is what makes this jacket suitable for the cooler days of Summer, as it will not overheat and you will feel fresh and breezy the whole time. 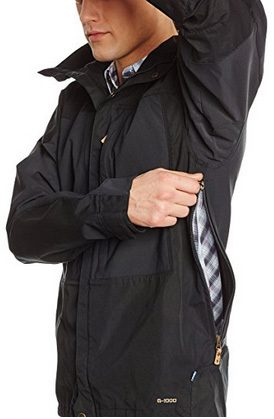 It is also wind-resistant, great for withstanding biking winds and mild drafts. It is however, a long sleeved jacket and we understand that some might find it strange as to how it can be worn during the warmer months. The reason for that is the insulation. 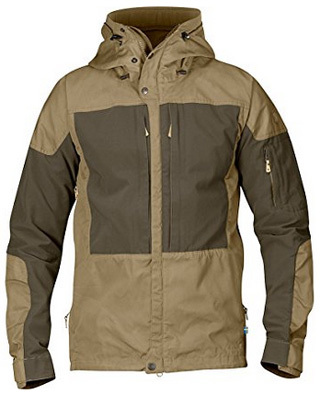 This jacket serves as an outer layer rather than an all-purpose jacket, as it comes with nearly no insulation. Combine that with the high breathability and you are free to wear it however you prefer. Starting from the top, it has an oversized hood, attached to the high collar. The sleeves are also oversized and come with open cuffs. It has a specially designed back for breathability and to further help with that, there are side zippers for ventilation. 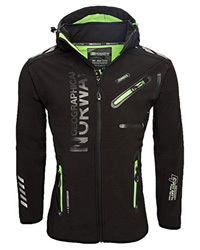 The main zipper is concealed, as well as water-resistant, as are the zippers on the pockets. Speaking of which, there are two very large chest pockets on both sides and one sleeve pocket on the left one. Keb is made of 60% Polyester and 40% Cotton, a fabric of the brand, called G-1000 Eco. This is an environmentally friendly fabric, because the Polyester is recycled and the Cotton is organic. When it comes to weather resistance, we did mention that it is wind-resistant and along with that, it is also highly resistant against water. 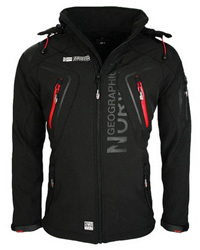 But it is not waterproof, which would then limit breathability, a key feature of the jacket. However, that is something you can work on, as waxing will increase weather-resistance considerably. One of the products is the brand’s own wax, previously featured in one of our recent guides. It is also a very durable fabric, with high resistance to wear and tear. This is quite important, especially if you will be spending time in the woods. In our latest single reviews, we have not had many color choices available for the selected jacket, but that is not the case with Keb. Not only is this jacket very stylish, it also comes in more than 10 color combinations. These include: Black, Autumn Leaf, UN Blue, Dark Navy, Fog Grey, Glacier Green, Ochre, Olive, Sand, Tarmac and Red. 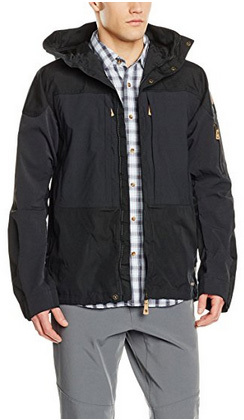 With many 5-star online reviews, this jacket’s performance and quality speak for itself. Most reviewers are loyal customers of the brand and once again, they were not let down by Keb. The quality and workmanship are outstanding and the stretch of the fabric make for a very comfortable wear. It is quite practical as it does not weigh much, packs easily if you are travelling and the breathability make it a fantastic option for highly active people. What should be kept in mind though, is not being fully weatherproof and that it is a slim cut. So wear it accordingly and go a size up, if you are planning on layering underneath. Keb is a jacket for activities. Be it hiking, running or cycling, this jacket will fit right in. 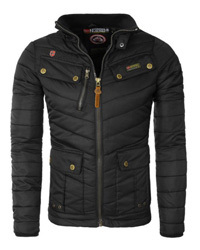 It is incredibly breathable and we think it is one of the best-made jackets you will find in stores anywhere.